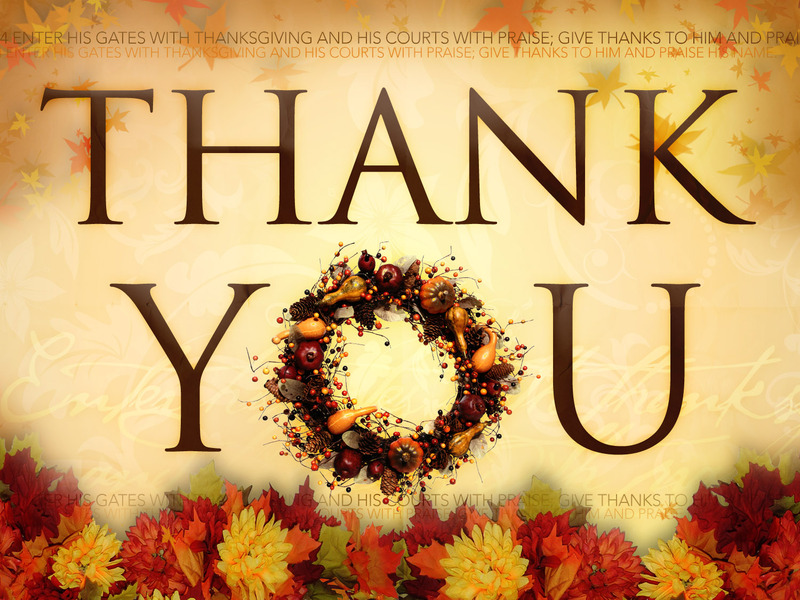 Yep, a simple “Thank You” to God, uttered by one of our pastors years ago. Those two words, with so much meaning behind them. I remember standing there with people filing out of the church around me, thinking why do we complicate our relationship with God so much? In the Old Testament, Jewish people had an extremely complicated system of rules to relate with God, and even then it was a distant relationship. Jesus changed all that. We can come near to God and have a personal, meaningful relationship with Him. Today is Thanksgiving day in the United States, a day that we gather together with family and friends, eat lots of good food and watch a little football. It’s also meant to be a day to give thanks for all that God has given us throughout the year, something we can easily forget in the hype of the day. Today, I start a year long journey of Thanksgiving, I’m not saving all my thanks for that one day in November. Each day I plan to wake up and give thanks to God. Each day I plan on going throughout my day giving thanks. Each day before I lay down to sleep I plan on thanking God. A simple thank you is often all it will take. Two words, so much meaning. Next What does Christmas mean to you?